Our sweet desserts will leave your sweet tooth satisfied. 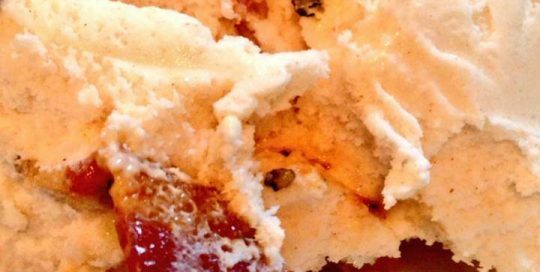 Pair any dessert with vanilla bean ice cream. 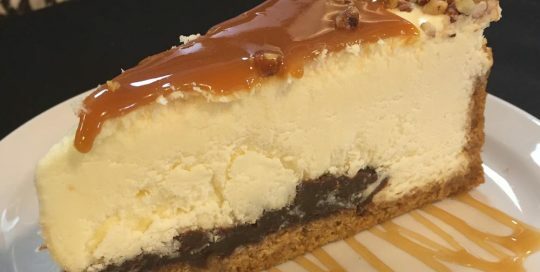 New York style cheesecake resting on a thin layer of fudge, covered with caramel sauce and topped with chopped pecans on a graham cracker crust. A large scoop of vanilla bean ice cream rolled in crushed graham crackers and deep fried. 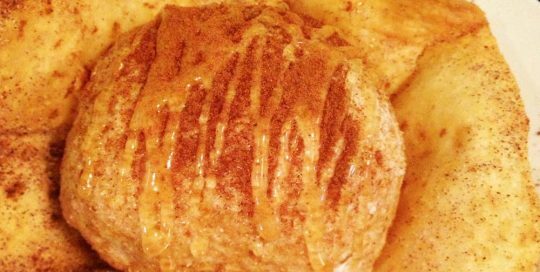 Served in a cinnamon and sugar tortilla shell and topped with cinnamon and honey. 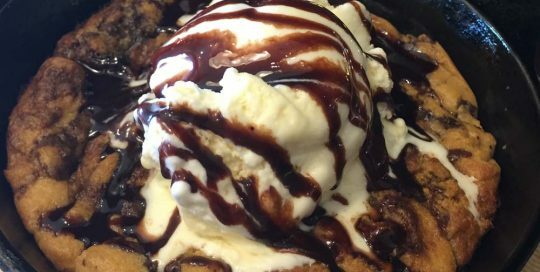 Hot chocolate chip cookie, vanilla bean ice cream and chocolate syrup. 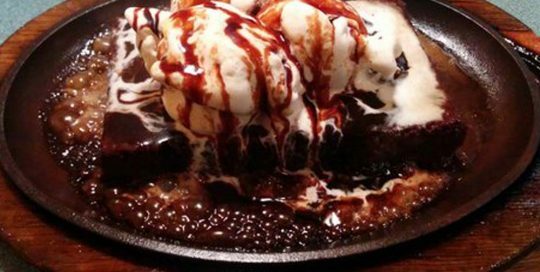 A large moist brownie topped with vanilla bean ice cream topped with a sizzling surprise of brandy, butter, and vanilla. 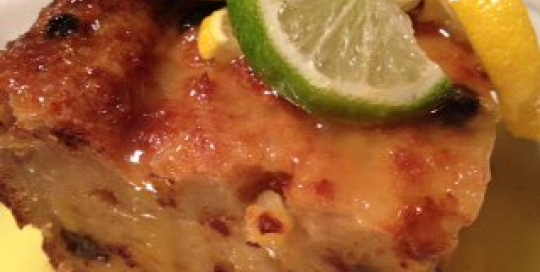 Sweet raisin and pineapple bread pudding drizzled with housemade tequila sauce. Two large scoops of vanilla bean ice cream. 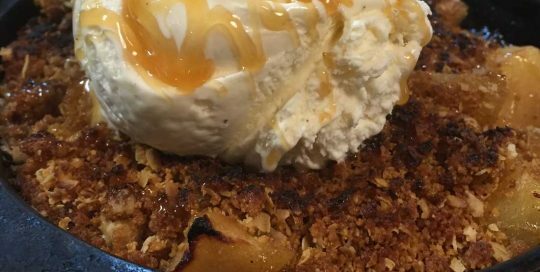 Cinnamon apple crumble baked in our wood fired oven and topped with a scoop of vanilla bean ice cream. 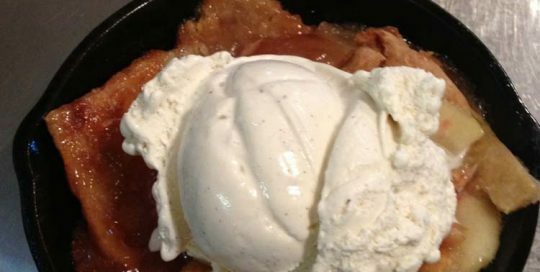 Fresh peach cobbler topped with a scoop of vanilla bean ice cream. Desserts	Overall rating:	4.7	out of 5 based on 338	reviews.